Maureen Carter has worked extensively in both print and broadcast journalism. She worked on newspapers and commercial radio before joining BBC TV News and Current Affairs. As well as being a reporter, Maureen co-presented BBC’s flagship Newsnight programme and went on to become the first woman news producer outside London when she edited Midlands Today. She is now a freelance writer and narrator. 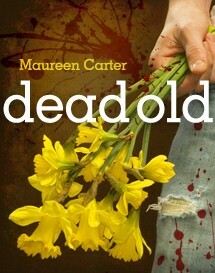 Her work has been short-listed in the Crime Writers’ Association’s New Writing Competition. Maureen lives in Birmingham and is married with one daughter, Sophie, who could be a useful contact in future – she’s going to university to read criminology. Many writers would sell their first born to have the ability to create such a distinctive ‘voice’ in a main character. Sharon Wheeler, Reviewing the Evidence. …a cracking story that zips along, and takes the reader into the world of a police investigation into the deaths of elderly ladies. Carter’s feisty, wonderfully-human Bev Morriss is lead into all kinds of unexpected twists and turns as she tries to untangle the crimes, and to sort out her own life along the way. A really strong, really involving story-line, with several enjoyable little sub-plots skilfully woven in. I'm greatly looking forward to Ms Carter's next book. - Sarah Rayne, author Roots of Evil.